Civil & Concrete Works for Crushing Mills, Product Handling, Stacker Beams and Train Load Out. Construction of reinforced concrete primary crusher foundation (major), walls, soffits, beams, counter lever slab, wing walls, and run on slab at Rom level. Construction of secondary crushing foundation, walls and soffit including cast-in in concrete embedment’s to support crushing units. Construction of foundation (major), pedestals, drive in sump, ground slabs and retaining walls. 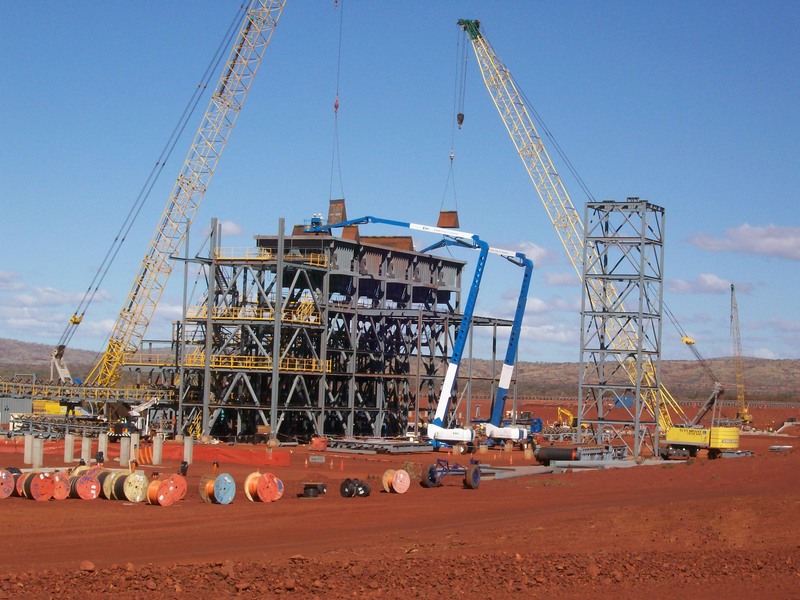 Construction of stacker and reclaimer foundations (approx. 4,000 meters) of reinforced concrete beam including installation of rail and grouting to underside of rail base plates. Construction of train load out facility, foundations, pedestals, ground slabs, drive in sump including rail installation and grouting to underside of rail base plates. Construction of reinforced concrete conveyor foundations and pedestals commencing from the primary crusher to the train load out facilities. Construction of reinforced transfer stations x 3 foundations, pedestals, ground slabs, retaining walls. Scope of works included survey set out, detailed excavation, formwork, reinforcing, placing structural concrete, installation of rail including grouting, cast-in concrete embedment’s, HD bolts and structural backfill.